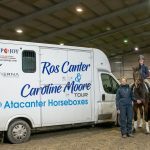 We have been pleased to support Caroline Moore and Ros Canter during their recent 4 to 4* tour promoting their exciting lecture demos. 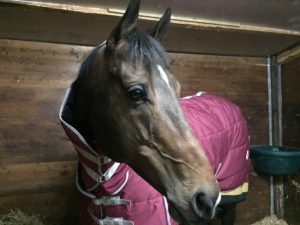 They revealed the secrets of their success when taking a horse from the early stages of training, through competing at grass routes 1*, Intermediate and right through to 4* Advanced stage. 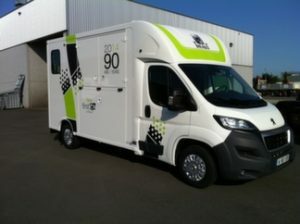 We are pleased to add to our HIRE FLEET a NEW PROTEO 5 SEATER BREAST BAR MODEL with Anti-weave grills. 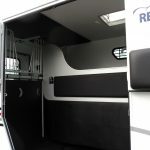 Hire the safest two-stall Theault horsebox on the UK market. 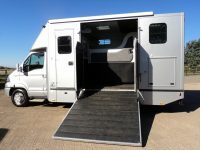 An economic horsebox, up to 30mpg and easy to drive: ideal for a family travelling with their horses. The ramp is so light and the partition and doors are so easy to move. Please call 01487 840448 or use our on-line booking service to check availability. 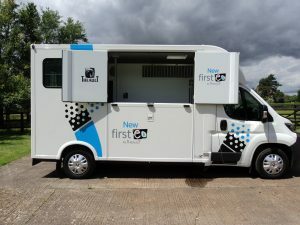 Available for hire from our Pidley branch only. 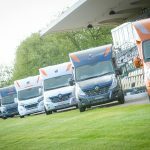 All Renault & Peugeot trucks are now being built on the Euro 6 chassis. The advantages are a major reduction in CO2 polluting emissions & reducing consumption, as well as improving overall vehicle performance. These changes contribute to a new & exciting driving experience. 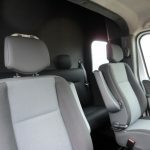 The Renault Master comes fitted with the Eco mode system. This operates in conjunction with the Stop/Start system which automatically stops the engine when the vehicle is waiting at a traffic light. 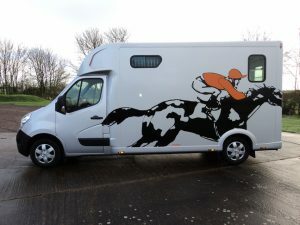 Bookings for horsebox hire can be made on line at your convenience. 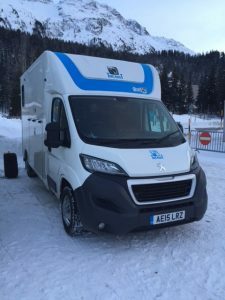 We are the first rental company to offer this service with 6-8 vehicles in our fleet. 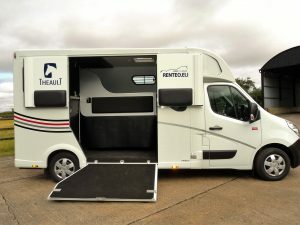 Thinking of a brand new registered Theault horsebox? 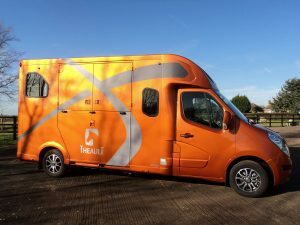 Comments Off on Thinking of a brand new registered Theault horsebox? 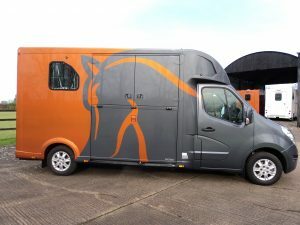 Are looking for a brand new registered Theault horsebox? 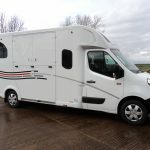 We have stock currently available, for delivery in March. 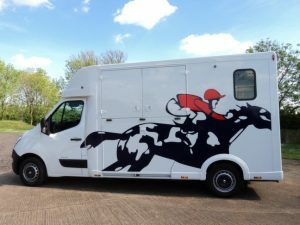 Have you booked your Horsebox hire for your forthcoming events? 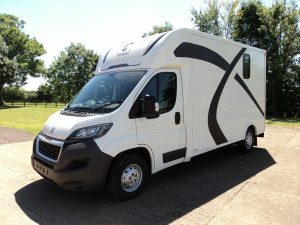 Comments Off on Have you booked your Horsebox hire for your forthcoming events? 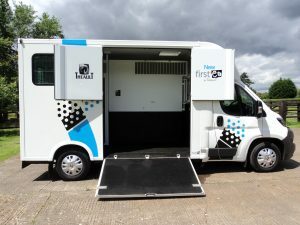 If you are considering hiring a horsebox from us for your up and coming events, please do not hesitate to call or email us now, to secure your booking. With an increase in demand for the season coming, bookings are now being taken. 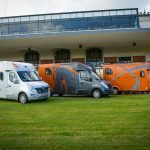 Its’ not only the UK that our horseboxes are located. 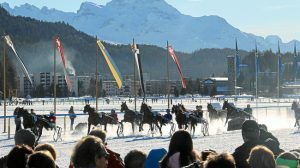 Our clients travelled to and attended the The St Moritz White Turf event recently, an annual horse racing festival in the snow. Well done, a great achievement…..SECOND PLACE. 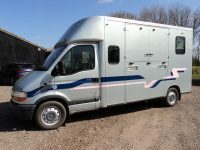 New Theault Firsteo 3 Stud Horsebox for sale. 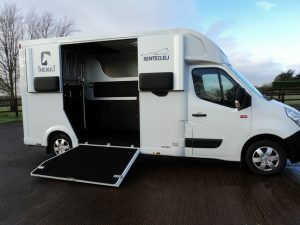 Manual 2.2 TDI 150hp.This horsebox is located at our cambridgeshire branch, UK. Please call for more details.